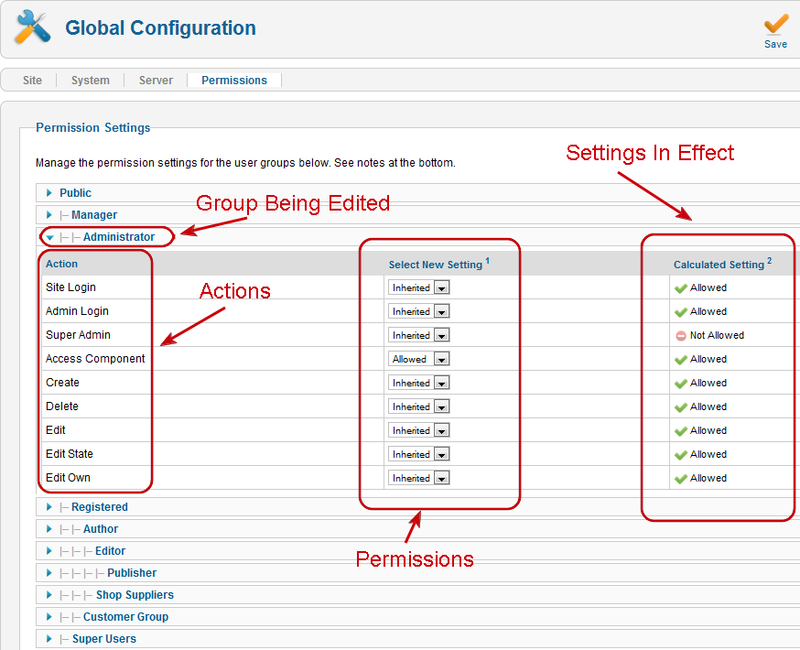 To access the page, go to Site > Global Configuration or click the Global Configuration icon from the main control panel. Default Access Level. The default access level to the site. Unicode aliases. Choose between transliteration and unicode aliases. Transliteration is default. Secret. This is generated when Joomla! is first installed and is not changeable. It is used internally by Joomla! for security purposes. SMTP Security. 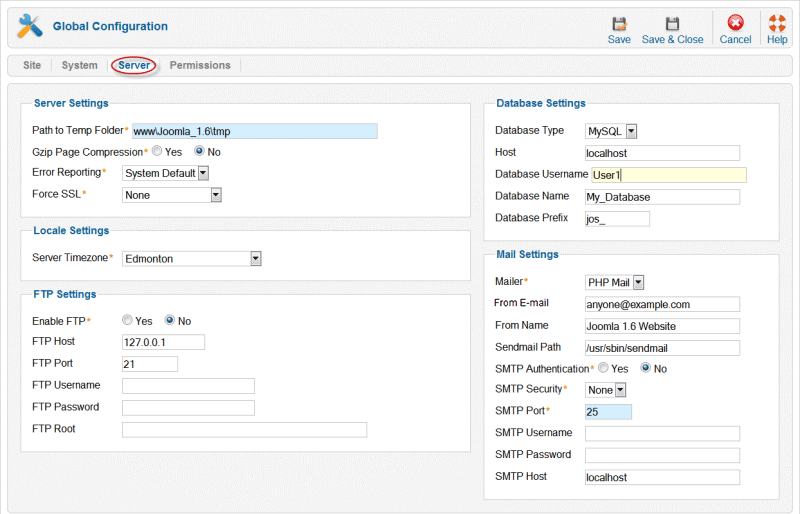 Select the security modle your SMTP server uses - Default is None. Options are SSL and TTL. Permissions are new to Joomla! 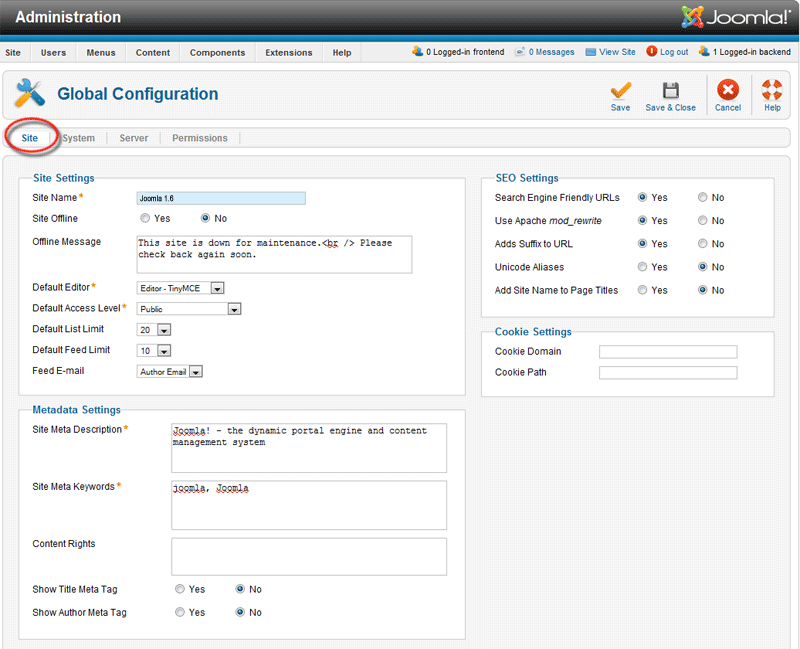 1.6 Joomla! version 1.6 will install with the same familiar back-end permissions as that of version 1.5. However, with 1.6, you can easily change these to suit the needs of your site. 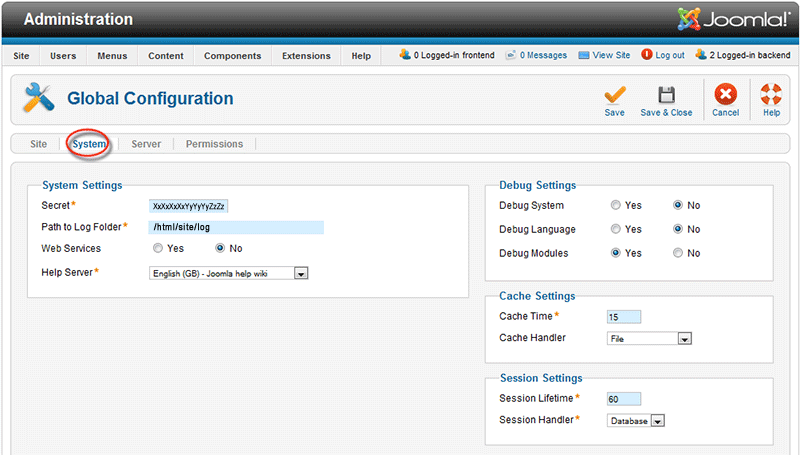 The settings are saved in '<Joomla! root>/configuration.php'. You have to either activate the FTP-layer or make the 'configuration.php' file writable to save your changes.